Who would’ve thought a musical comedy about a bunch of misfit women singing their hearts out would do so well in the box-office? Well, um, Anna Kendrick and Rebel Wilson, stars of the Pitch Perfect franchise totally knew. After the mega-success of the second movie (which is now the highest-grossing musical comedy ever), the Pitches are back and ready to give it their all. What makes the movies so amazing? Kay Cannon’s amazing screenplays, the Barden Bella’s beautiful voices, or all of the actresses’ comedic talent? Definitely a combination of them all. It’s clear from both the movies and real life that the Bellas love being around each other. Watch the video below to watch Anna, Rebel, Hailee Steinfeld, Ester Dean, Chrissie Fit, and Hana Mae Lee in action! 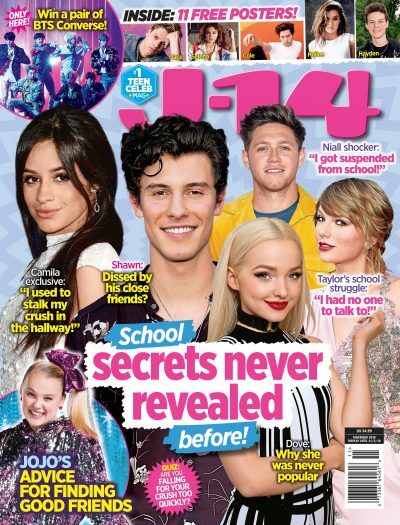 Most of the ladies from the Pitch Perfect franchise sat down with J-14‘s Liam McEwan and gave us an inside look at their friendships. From their support of writer Kay Cannon, who left the third movie to direct her own film, to their adventures in Atlanta while filming, the cast is super close in real life. It’s actually so inspiring to see a movie where all the female characters actually support one another. And aren’t afraid to crack a few jokes every once in a while. Pitch Perfect 3 opens in theaters on December 22, 2017. This may be the last call, but the Barden Bellas legacy will live on for-aca-ever.